"A time will come when science will make tremendous advances, not because of better instruments for discovering things, but because a few people will have at their command great spiritual powers, which at the present are seldom used. Within a few centuries, the art of spiritual healing will be increasingly developed and universally used." Astronomer, Man, Mind, and the Universe. 'Prana' is the Sanskrit word for life force. It is called ‘chi’ in China and ‘ki’ in Japan. Pranic Healing is a revolutionary and comprehensive system of natural healing techniques that uses prana to treat illness. It is a synthesis of ancient, esoteric healing methods that have been rediscovered, researched and tested over decades with proven success by the founder of Modern Pranic Healing, Grand Master Choa Kok Sui. Pranic Healing has been described as a simple and yet very powerful technology that can be employed with immediate benefits to the patient. What is this life force? Simply put, it is ENERGY! All matter in the universe is fundamentally made up of – ENERGY!!! It just isn’t your physical body we are talking about here. Do you know that your thoughts and feelings are nothing but energy waves that can actually be measured using instruments? Even your relationships and the amount of money you earn are all fundamentally energy ‘patterns’. What is fascinating is that all human beings have the innate ability to feel and ‘modify’ energy. Science explains to us that energy can neither be created nor destroyed but can be transformed from one form to another. Think about what this could mean to you? If you can understand how to work with energy, it can help transform all the negative results in your life into positive results – sickness into well-being, lack into abundance, stress into peace of mind and failing relationships into healthy, strong bonds. So since Pranic Healing uses energy, there is a lot more to it than just the healing part. It not only makes you aware of the aura around the human body – the ‘chakras’ (energy centers) and their effects on our health, but also teaches us how to feel or scan the aura and determine which parts of the chakras may be affected. By learning about energy, we become more conscious about its ubiquitous presence, be it in people, buildings or even objects. What is the fundamental difference between a living and dead person? Both people have a body, a set of organs and billions of cells. What differentiates them is an ‘unseen’ force that gives one person the awareness and consciousness to experience living while causing the other person ro experience a permanent black-out. Call it Breath of Life or Vitality of the Soul, Prana is the life sustaining force found within the body of every living thing. Without Prana, we cease to exist as “living beings”. Pranic Healing is done without touching. Pranic Healing is a three step process that substantially accelerates the body’s innate ability to heal at all levels: physical, emotional, mental and spiritual. 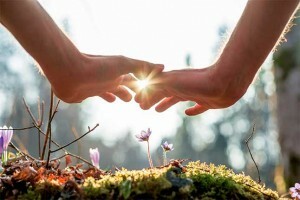 Replenishing and revitalizing with life force- Energizing: the transference of fresh ‘prana’ or life energy to the body and is applied once the cleansing process is completed.To give an example, when we cut our fingers or bruise our legs, our body automatically takes the necessary steps to prevent blood loss and repair the damaged tissues. Our bodies are constantly exposed to a variety of toxins, chemicals and pollutants from the environments we live in but our ‘in-built’ defense system fights of all these germs and protects us. When we are healthy and happy, we feel all charged up and are full of energy. When we are sick or upset, we feel down or drained out. In other words, a healthy body has an abundance of prana while a sick or dis-eased body is low on prana. The healing process of an individual is accelerated by increasing the prana life force in them which is readily available from the sun, air and earth. Pranic Healing classes are regularly conducted in various parts of India. To get details of a class scheduled in your area or to contact one of our Authorised Pranic Healing Instructors, please contact the Pranic Healing Foundation nearest you.